The exclusive and unique product from the white fish Vendace. Round soft taste with notes of smooth fish oil and salt. Only harvested in their limited habitat along the northern coast of the Gulf of Bothnia. 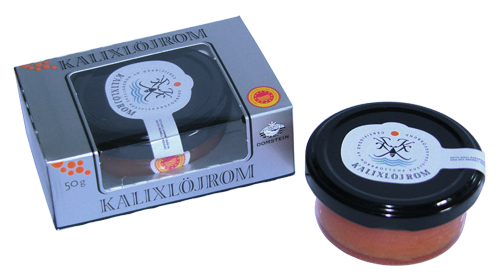 Sweden’s first product to have been awarded protected designation of origin status by the EU. Wonderfully colored deep reddish-gold.